When you think of traveling across the American Midwest, it doesn’t necessarily make you think of southern hospitality. When you go through bourbon cities, it’s not a given that your mind jumps to sporting insulting institutions and champions, or Oscar winners. This trip is going from strength to strength and Louisville; you packed on hell of a (friendly) punch. 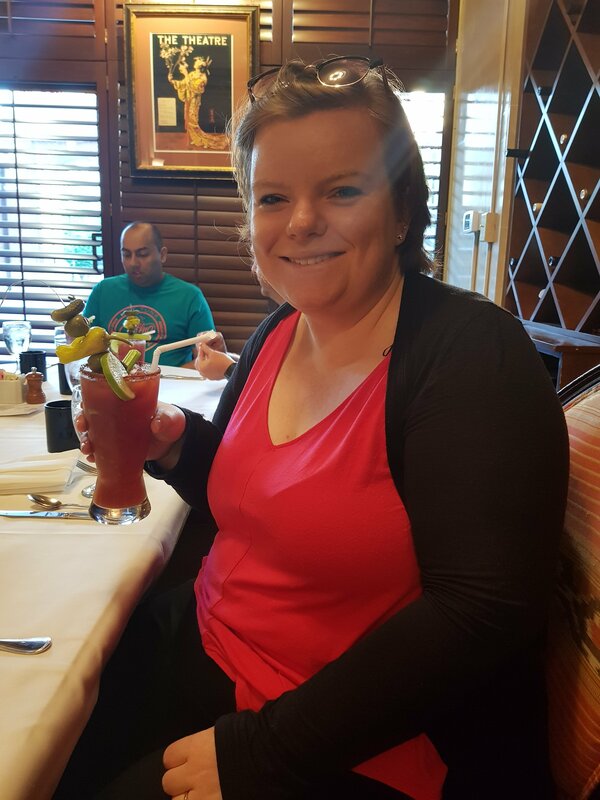 After leaving Ohio, we actually stopped for a short brunch stop in Covington to sample some true Southern breakfast, and get our first taste of Southern hospitality. And that carried on right through to Louisville, where we stayed at the historic Brown Hotel. Elaborate, beautiful, and welcoming, the Brown is a pretty spectacular hotel in Louisville itself. 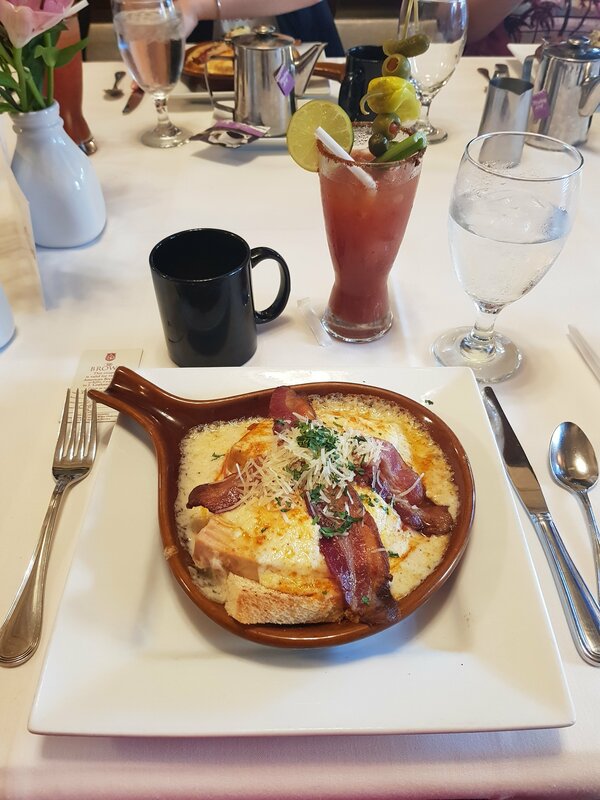 We sampled their brilliant Bourbon Bloody Mary, and we got a breakfast treat in the form if their signature, namesake dish: The Hot Brown. Am-aze-ing!! Before settling into the Brown, we all got (somewhat) dolled up for a Mother’s Day Racing Meet at Churchill Downs, the historic racecourse that is home to the renowned Kentucky Derby. We experienced Suite box hosptiality, had a flutter on the races (and lost!) And tried some of the famous racecourse bourbon cocktails. 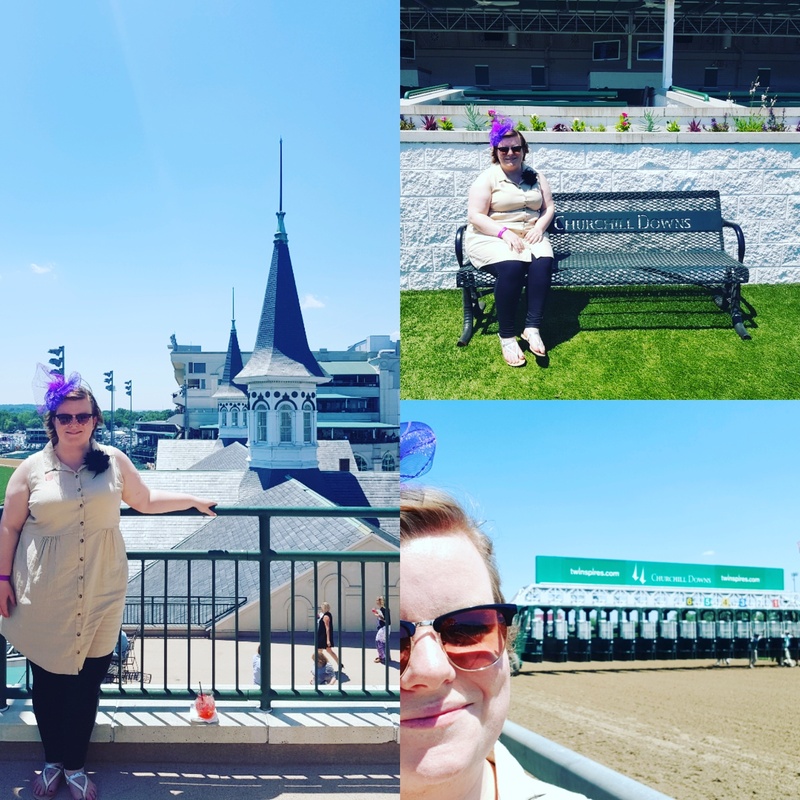 We delicately placed out fascinates on to stroll round the paddock, take pictures in front of the twin spires, and then toured the informative Kentucky Derby Museum. It wouldn’t be a Kentucky visit without a little Bourbon chucked into the mix. With everyone in jubilant and raucous moods, we embarked on the Urban bourbon trail. A Kentucky style pub crawl, we toured 3 of the bars on the route (stamping our Urban Bourbon passports) to sample their (very strong and very tasty) signature cocktails. 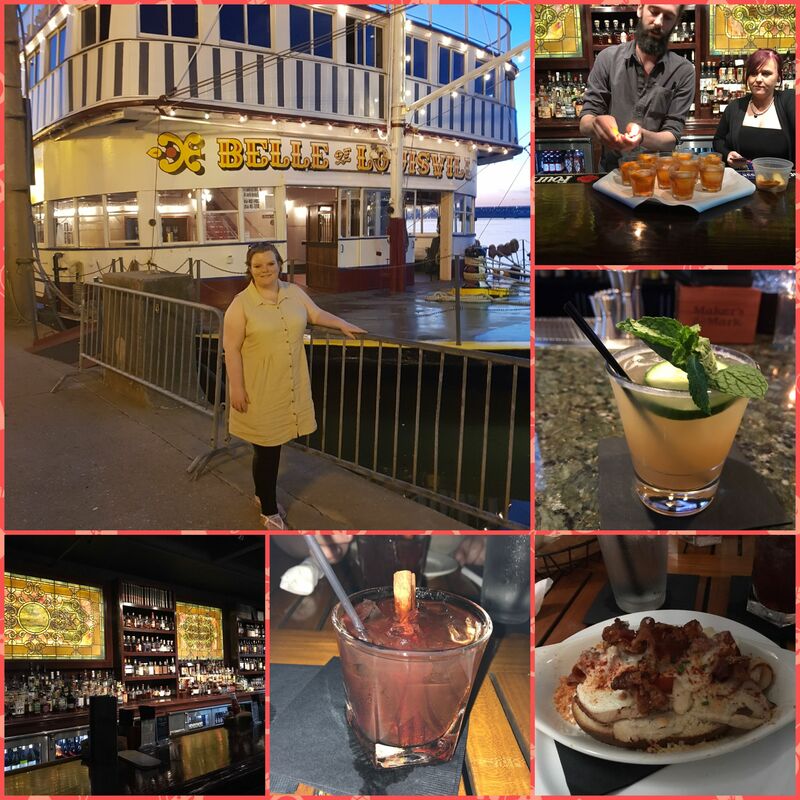 Everyone let their hair down and had a great and relaxing time enjoying the drinks, nibbles, Bourbon History, and a might stop to see the beautiful and legendary Belle of Louisville Steam Paddleboat. Some very famous people have called Louisville home, from Oscar Winner Jennifer Lawrence, to the People’s Champion Muhammad Ali, to the original slugger. Our first morning stop continued th3 sporting theme with a tour of the Louisville slugger musuem and factory where the best of the best baseball bays are made for the world’s best MLB players. And if that wasn’t enough, the world’s biggest baseball bat sat right outside. 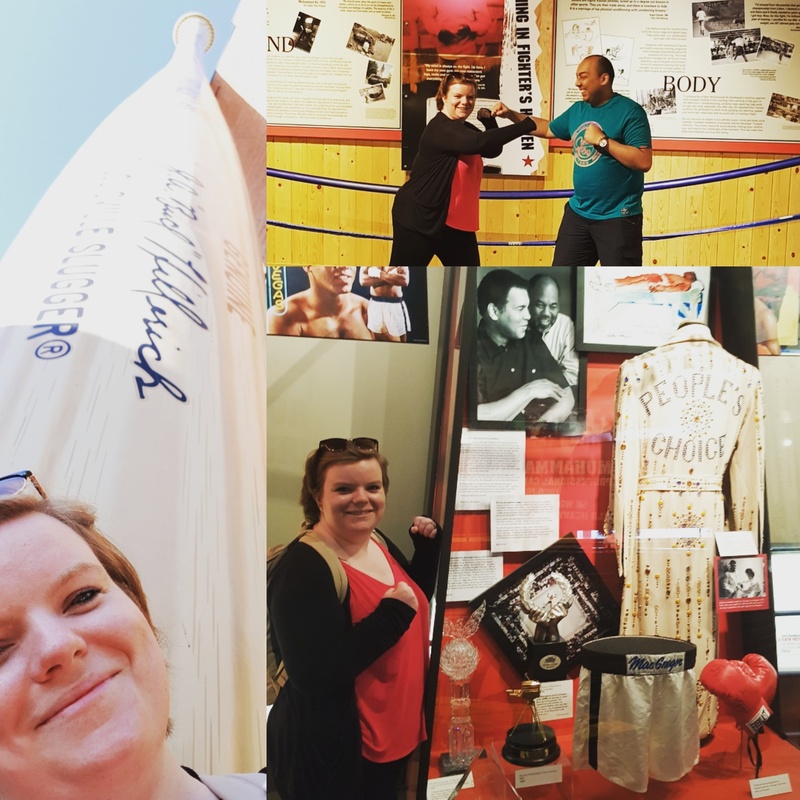 The city of Louisville was also the birthplace of the greatest, so we went to see the Muhammad Ali Centre and Childhood Home museums, that strive to preserve the sporting and humanitarian legacy of the Louisville Lip. All the museum visits this morning we’re incredibly informative, interesting, and in the case of Ali, quite emotional. Louisville gave us a true taste of the South, a real sense of friendliness, craziness, and true Southern pride. I look forward to coming back and getting another Kentucky hug! Have you visited Louisville or Kentucky? Have you ever called the Derby City home? What are your highlights?